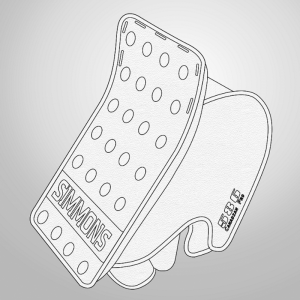 The SIMMONS 1000 INT. 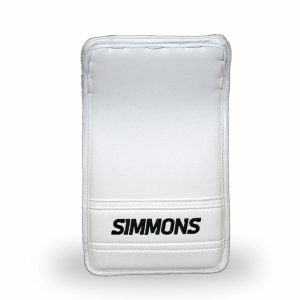 Pro catcher is a wide pancake style catcher that offers maximum legal width and depth of pocket. The coverage is massive, the weight ULTRA LIGHT, the control absolute. 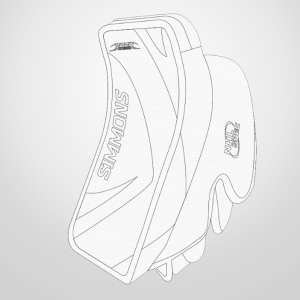 New floating split T lace pocket maximizes puck retention and puck control. The 1000 INT. 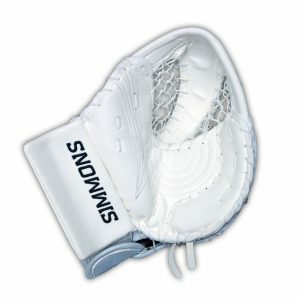 PRO CATCHER plays large but has a tight fitting hand set for maximum control while handling the puck. Rebound coverage is maximized by the wide double t system. Break in is a breeze with the Double Break Pro Palm which offers Pro Palm protection with short break in period. Two stage hand adjustments for total customization and control. Easy access back hand for ease of adjustment and air drying. The 1000 Int. 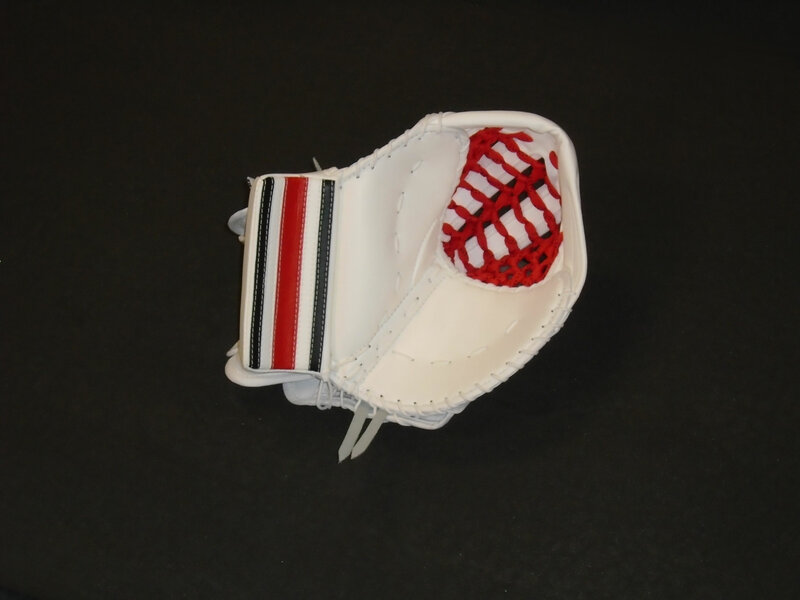 Pro catcher is all about quality and performance without the big price tag. 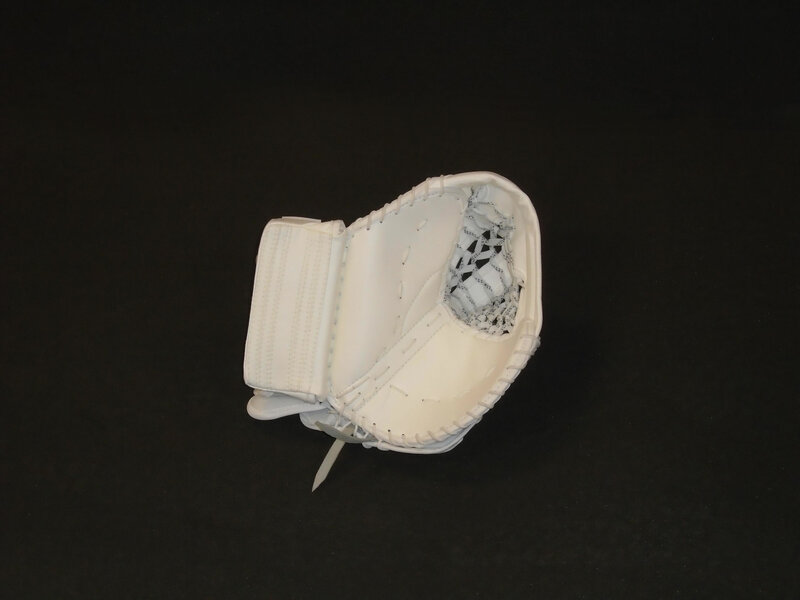 – floating split t pocket increases depth, catching area and puck retention.